"To me you're still you. You haven't changed a bit. Only thing that's changed is that you've gotten harder on yourself." "Final Turn! I ride Garnet Dragon, "Flash"!" Anime Biography: Kai's confidant and sparring partner, Miwa is thought to be the only one who knows what's going on in his head. Taishi serves as a link between Kai and the distant past, as well as a waypoint between Team Q4 and their most distant teammate. The truth runs deeper than that. Miwa is the last of Kai's close friends from elementary school, and the only person he chose not to push away upon moving back. Although Taishi already knew of the deaths that took place four years ago, Kai never confided who he met in his uncle's town, much less that he was the third Foo Fighter. These events serve as a barrier between the two friends throughout the first season, one that Miwa struggles to overcome but is ultimately shut out by. Midway through season 1 Miwa starts to unearth Kai's past, tagging along with him to their city's underworld. Witnessing Kai confronting the underground fighters alone, he quickly intervenes, managing to talk Toshiki out of six-to-one a brawl. Unfortunately, this only ends in Miwa being used as a human ante in an underground fight between Kai and king Jun. Ironically, Jun and Miwa eventually develop a sort of friendship as Kai continues to frequent the underworld, even cracking jokes during Toshiki's match with Kourin. In the second shop tournament Taishi finally takes center stage as the captain of Team Overthrow, masking a careful series of plans with a humorous face. He is responsible for assembling the team's four members, and in particular recruiting Emi to disable Kamui during the tournament finals. 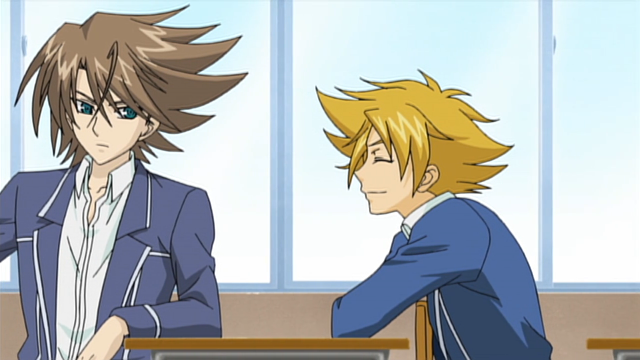 Against Aichi, Taishi brings out the Kagerou deck he uses to practice with Kai, and in the process unknowingly reveals Sendou's PSY Qualia to his friend. While he eventually assists Kourin by leading her to Kai, Miwa otherwise keeps to the sidelines in spite of how much he knows. Unlike Team Q4, Miwa tries to uncover the truth about Kai's past in the background, choosing to keep himself hidden and not actively participating against the season's antagonists. 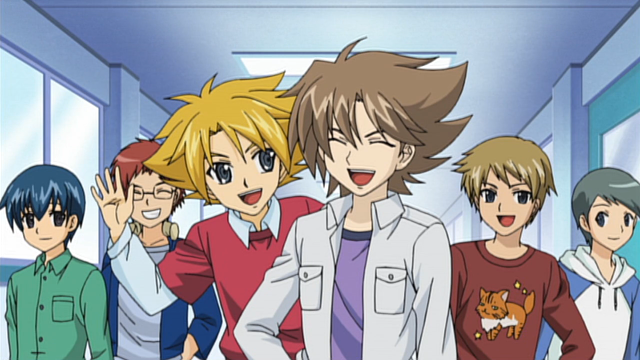 While the cast has generally reconciled itself at the season's end, Miwa is still left with only a small portion of the picture, and his fractured friendship with Kai remains a key element of his character. 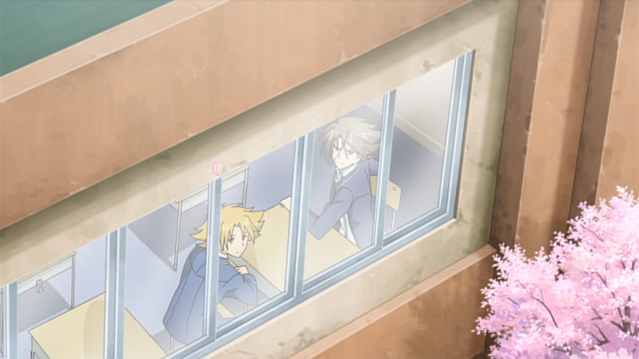 During the Asia Circuit arc, Miwa takes over for Shin in maintaining Card Capital, watching the store counter with Izaki and the Sub-Manager while the rest of the cast travel to Singapore. Manga biography: Maintaining his role as Kai's confidant, Miwa takes a more active role in the manga, opposing Asaka's invasion of Card Capital in volume 2 and accompanying Kai to the Foo Fighter's apartment complex in volume 3. Unlike in the anime, Miwa is shown to be a clearly better fighter than Aichi. During the second shop tournament and in sparingly-seen practice matches against Kai, Miwa cardfights with a Kagerou deck. His winning image is built around Garnet Dragon, "Flash" and his skill, which empowers other Kagerou when his attack hits. For support Miwa brings out the Salamander series to retire grade 0 and 1 units--primarily, his opponent's first vanguards and boosters. Miwa combines these retire skills with those of Berserk Dragon, and Chain-attack Sutherland, to mass retire and gain power while doing so. Like his sparring partner, Miwa makes use of Dragonic Overlord. However, Miwa prefers it in the rearguard, to burn through his opponent's hand after empowering Overlord with Flash. Taishi is something of an anomaly in that he is one of the few Kagerou cardfighters to continue using Undeux, long after it has been outmoded by Conroe and the Amber Dragon line. In the manga Miwa fights with a Nova Grappler deck. In contrast to Kamui, his play style rests rearguards as part of their skills; Rocket Hammerman empowers other units by +2000 power when rested, while Cup Bowler gains +1000 power for each unit at rest. Boomerang Thrower attacks the rearguard units from the vanguard circle, then with Cat Butler's skill stands once more to attack again and make a second attack, this time on the vanguard. Miwa combos this skill with Death Army Guy, using the booster to make two full-power attacks. Taishi's grade 3 vanguard is Miss Splendor, whose skill prevents her from being intercepted. This gives Miwa coverage in multiple areas; the ability to remove his opponent's rearguard, make multiple drive checks for added power, empower his own units through skills, and prevent his opponent from blocking. 1. Cardfight!! Vanguard Ride 36. Crunchyroll, 2011. Web. 1 June. 2012. 2. "Cardfight!! Vanguard English Version - NicoNico Channel." NicoNico Channel. NicoNico Douga, 11 Mar. 2012. Web. 1 June 2012. <http://ch.nicovideo.jp/channel/vanguard-dub>.